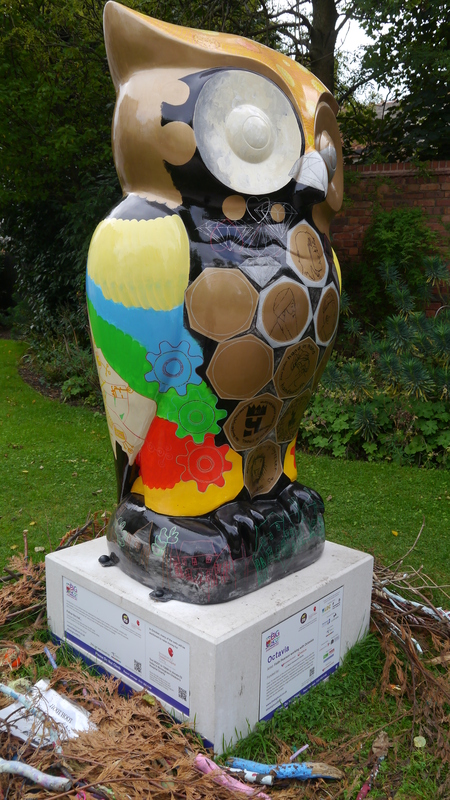 On September the 23rd, I was darting around north Birmingham searching for the fibreglass owls that make up The Big Hoot trail. One I found was number 72: Octavia by Faith Pearson. Faith Pearson lives in Birmingham; she uses discarded materials to create paintings and constructions inspired by community engagement projects – delivered with people on the edges of society. Through her work she explores the basic instinct of young humans to create, play and imagine, balancing the chaos and destruction caused by this society.